What do we mean by perfection? 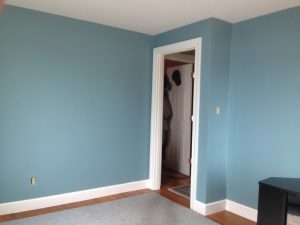 For this 60-year-old home in Peabody, Massachusetts, we began by stripping away old wallpaper, sanding and repairing the walls, sanding and caulking the woodwork, and making sure that we caught any underlying problems causing cracks or spotting. Then we applied primer and paint—two or even three coats when needed to ensure uniform coverage. We repainted the ceiling so that the color met our high standards. The picture shows our meticulous care in creating sharp edges and preserving details. When the interior painting was completed, we cleaned thoroughly. The result is a room that fairly glows with color and should stay looking attractive and fresh for up to 10 years. Because of our commitment to the highest quality in home renovation and construction, our customers return to us again and again when they have new projects. You have probably seen the WORKS truck on site throughout the North Shore of Boston, including Amesbury, Beverly, Boxford, Danvers, Essex, Georgetown, Gloucester, Groveland, Hamilton, Ipswich, Lynn, Lynnfield, Marblehead, Manchester-by-the-Sea, Middleton, Nahant, Newburyport, Rowley, Rockport Salem, Swampscott, Topsfield, Wenham, Middleton and West Newbury. WORKS by Jesse DeBenedictis is fully licensed by the state of Massachusetts (# CS 91245 and HIC # 178604). 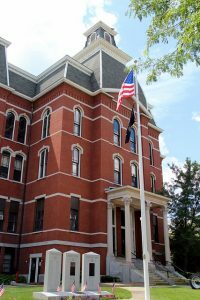 Peabody took a while to become a city in its own right, first separating from Salem in 1752 and then from Danvers in 1868, finally becoming incorporated in 1916. It is the home and burial site of Giles Corey, the only person pressed to death during the Salem witch trials of 1692. Because of its leather industry, Peabody attracted immigrants from Ireland, Russia, and Turkey; its sports teams are still known as the Tanners.